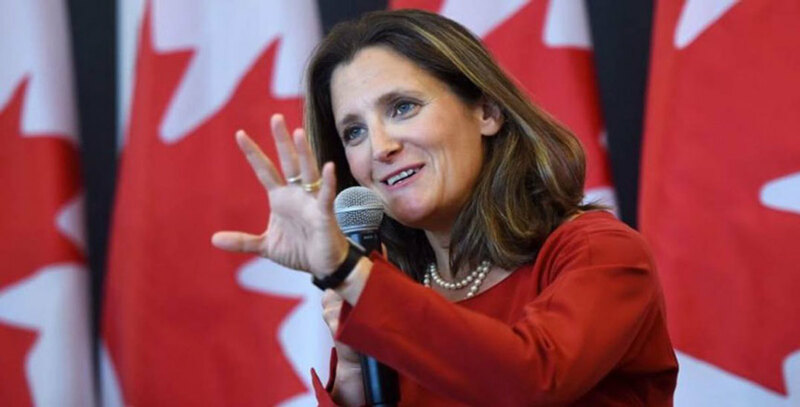 Chrystia Freeland, Canada’s Minister of Foreign Affairs, acknowledged boating-industry concerns about Canadian tariffs on U.S.-manufactured boats that are set to go into effect on July 1. Sara Anghel, president of NMMA Canada, said the trade group was pleased that the boating industry’s message has reached the highest levels of government. NMMA Canada and every marine trade group in the country sent a letter to Canadian Prime Minister Justin Trudeau recently, underscoring the challenges Canadian marine businesses will face with the upcoming tariffs. Anghel said that many Canadian dealers have either cancelled or tried to cancel orders from U.S. boat builders in anticipation of the extra costs the tariffs would place on new boats. NMMA Canada also asked the government to refund any tariffs that might come into effect on July 1, if the U.S. and Canadian governments settle the issue in the coming months.